Dustin is always proactive and responsive when scheduling a service. He helps make the process as simple as possible, taking time to make sure to explain what is happening and why. Couldn’t ask for a better experience! My experience from sales to service at Land Rover Frisco has been extremely positive. My sales guide, Sydney Archer, helped me order a Discovery Sport with the features I wanted and communicated regularly over 2 1/2 months about delivery status. She went above and beyond in delivering my Sport and followed up after the sale to see if I had questions. Ross and the service team have also been great to work with (although I've only needed a software update). 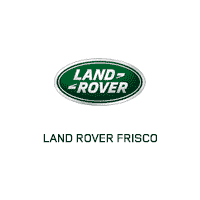 Recommend Frisco JLR!